I’am very impressed with the quality of workmanship and overall finish of the completed item. 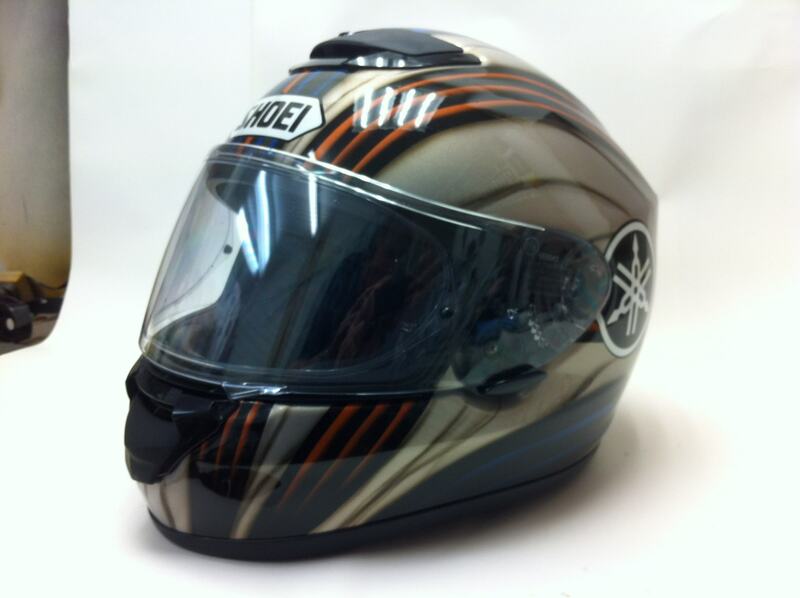 Charlie came to us with quite a specific request, he wanted a custom painted helmet in the style of Isle of Man TT legend, John McGuinness. The brief although quite specific was open to interpretation as long as all the items appeared on the helmet such as the manufacturer logo, a Yamaha logo and an ‘Ace’ logo on the back of the helmet.